"Paris isn't all it's cracked up to be, it's just famous because of the Eiffel Tower." "The people are all rude and snobs." Well, let me tell you - I am so glad I'm not one of those people that let others form an opinion for me before deciding for myself. Because all of those preconceived ideas or stereotypes are just out of the mouths of those who may have had a single negative experience, but you simply cannot judge an entire city from that. 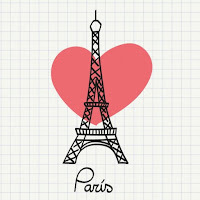 Honestly, I couldn't tolerate a thought about not loving Paris. Paris is so close to being my favourite city in the whole world - with London only just nudging into first place. I first visited in November 2014 for a week and instantly fell in love with it. I was lucky enough to visit again in July 2015 and I'm glad I got to experience two different seasons (as both Summer and late Autumn were lovely times to visit). This is my second post on Paris which are guides, particularly for first-time visitors. 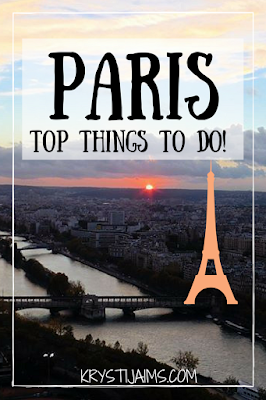 For my top recommended things to do check out my first post: P A R I S | Top Things To Do! 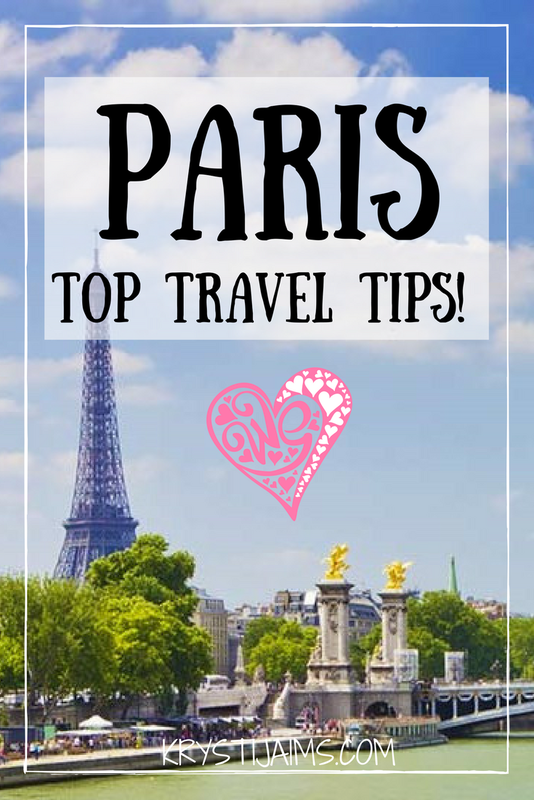 Here are my top travel tips for those visiting the city of love. Walking around the city is my favourite way of getting around (if it's not too far!). I can't get enough of the beautiful cobbled streets and awe-inspiring architecture. Otherwise, the Metro is an easy, comprehensive and safe way to travel around Paris. You can download a free Paris metro map app for your phone to make it easier to navigate. A river cruise along the Seine on a nice day is the perfect way to see Paris. There are hop on hop off boats called Batobus with nine different stops near the main attractions and highlights of Paris, which you can get one or two day passes for. Paris is home to many of the finest art galleries in the world, a large number of monumental churches and around 130 museums. If you love your history then you are in for a treat! Aside from the obvious must-sees Louvre and Notre-Dame (featured in my first Paris post), I can particularly recommend the national military museum - Musee de l'Armee, which holds an impressive collection of weapons and uniforms, plus the famous Napoleon's Tomb. Musee d'Orsay is another grand museum devoted to all the arts between 1848-1914. Sainte-Chapelle is an impressive royal Gothic-style chapel that has stunning architecture and amazing stained glass windows. There is a lot - so be sure to do your research and pick your favourites to see if you're only going for a short time. Let's be real - who wouldn't want to come to Paris and do some shopping! Parisians are forever well-dressed and chic - they take real pride in their appearance. Being the fashion capital of the world, there is no shortage for your retail therapy needs. 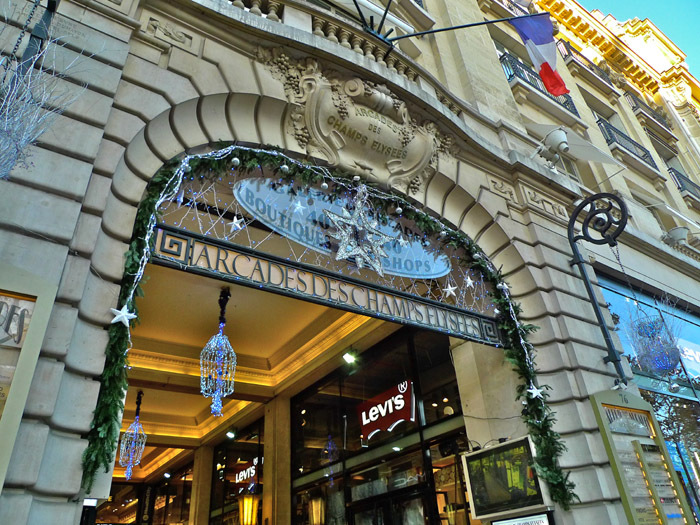 Visit Galleries Lafayette for the ultimate department store shopping experience. 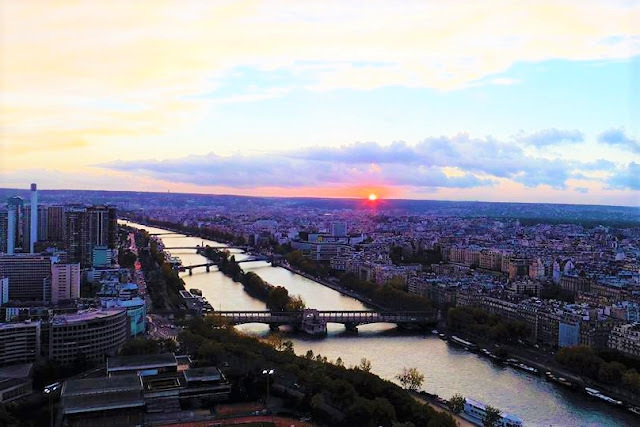 Tip: head to the rooftop for great views over Paris! The Champs-Elysees is like the Times Square of Paris and is a shopping-lovers haven, studded with many high end and designer stores. For independent eclectic boutiques- the Marais is the place to go. If you are a student then do bring along your ID card. You can get discounts and freebies on everything from transportation to museum admissions. Paris is filled with many beautiful parks. Luxembourg Gardens, in particular is absolutely stunning. Take a picnic on a nice day and enjoy the surroundings. To discover Paris on a small budget Sandeman's Free Walking Tour is a great way to get acquainted with the city. The guides are full of interesting facts and stories and walk you through several neighbourhoods and to most of the famous sights. They ask for just a small tip at the end, whatever you can manage and what you think the tour guide deserves for their time. Pere-Lachaise Cemetery is a popular free tourist spot. See the graves of Oscar Wilde, Chopin and Jim Morrison among many more. French may have the reputation for being rude, but it's more accurate to say they are formal and minimise interaction with strangers. Don't expect them to strike up a random conversation with you. Try to speak as much French as you can - even if that is only 'bonjour' (hello), 'merci' (thank you) and 'au revoir' (good bye). In France, this is basic manners they teach to their children from a young age, and being foreign doesn't exempt you. Failing to do this may earn you a rude treatment in return. 'Parlez-vous Anglais' (do you speak English?) is an expression you should try to learn off by heart before asking a question. Many places let you book tickets online in advance, such as the Louvre, Musee d'Orsay, the Eiffel Tower and many more. This is a smart option to choose a particular time slot, especially in the busy Summer months to cut down on waiting in line. Otherwise, I would highly recommend heading to your attraction slightly before the opening time, because lines can potentially take hours up of your day, and time in precious! Parisians take real pleasure in their food and drink along with good company. During the day they love their coffee and you can find a cafe on practically every corner, as well as Patisseries (French bakeries) for fresh bread, filled sandwiches and baked goods. Said Patisseries are an absolute must-visit - they are the best in the world! Everything in there is perfection - the baguettes, chocolate eclairs, croissants, layered custard slices... I could go on and on. Paris is also well known for their chocolat shops and of course their macarons. Trying French treats on my first day in Paris! The French are very social and spend hours enjoying their meals sitting outside in the quaint streets, drinking wine well into the hours of the evening with their friends (can I please be Parisian?). They tend to eat dinner at 8 pm or later. You may not find many restaurants open until this time, although the ones that are may offer an 'earlybird' special if you don't mind eating earlier. French cuisine is flavoursome and hearty. If you're not sure what to order try some typical famous dishes like escargot (snails!) or duck l'orange (roast duck with orange sauce). Their soupe à l'oignon (French onion soup) is also obviously delicious! I highly recommend ordering a fromage and bread platter at least once - their cheese and bread - no words. Their wine is also top-notch. Ask the waiter for recommendations if you're unsure of what to order on a menu - they'll usually set you right. If you do have the time I would recommend doing a food and wine tour, it's great to learn more about their cuisine and they always give you their best quality goods to try. A great option for lunch is to have a traditional crepe. You can choose your fillings, savoury or sweet and it's usually very large and filling for a reasonable price. 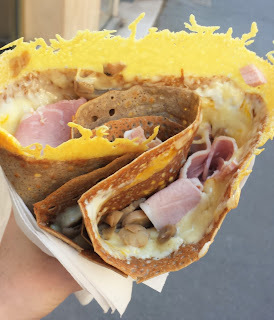 My favourite - ham, cheese and mushroom! Being a popular tourist destination do be aware of pickpockets, as they do prey on tourists in particular. Only carry one card with you and only as much money as you need for the day. Take an official taxi from the airport and not random offers from people that don't belong to a company, they will charge you a lot more. Ignore and avoid certain people at busy spots such as the big tourist attractions and train stations. There are many gypsies who are known to try and scam people. Around these places there is also no shortage of people trying to sell you selfie sticks and cheap tacky Eiffel Tower souvenirs, so do ignore them and be firm if you have to, as some can be a bit confronting (unless of course you actually want to buy one). Paris is known to be the city of love and has that romantic reputation for a reason! The only way to truly discover it is by exploring for yourself. It's an incredible city and one that I will forever hold dearly in my heart and I can't wait until I next return. If you are heading there yourself I hope you enjoy your time there as much as I always do. * This post contains some images that are not my own. If you are planning on heading to Paris anytime soon, or if you just want to read about me gushing about the beautiful city - read on! 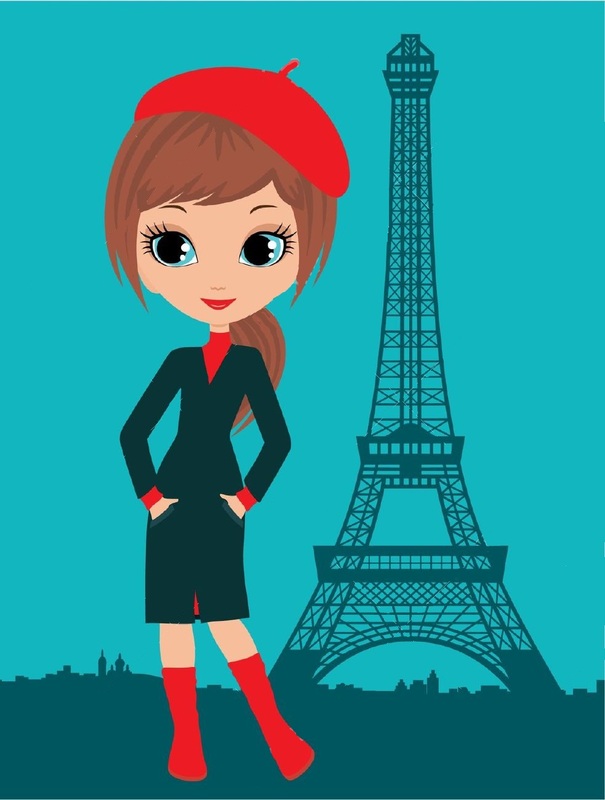 What excites me most about Paris is the beauty of it, the history, the magnificent architecture, the gorgeous bridges across the river Seine, the food, and the fashion and shopping are incredible, world-class. This is my first post on Paris which are guides, particularly for first-time visitors. For my top travel tips check out my second post: P A R I S | Top Travel Tips! No matter what day of the week Paris is always bustling with activity. With countless museums, concerts, theatre and shows, there is always something on and plenty to do. As there are so many great things I unfortunately haven't done everything (yet), so here are some of my top favourite things to do I have done myself - that I can fully recommend. 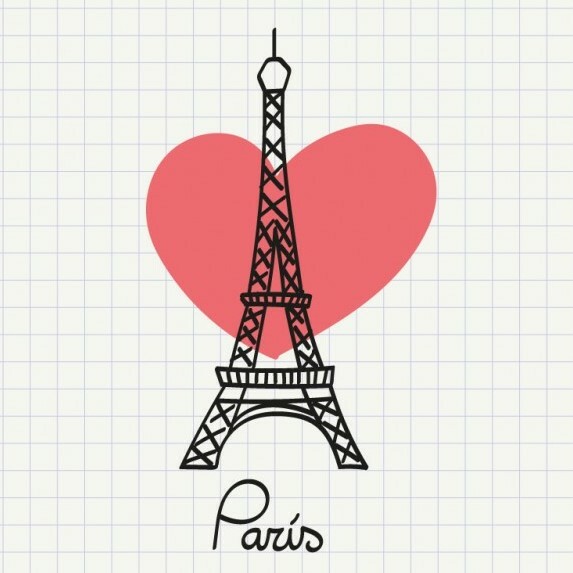 One of the most iconic structures in the world - the Eiffel Tower is of course number one! I have always been mesmerised by the Eiffel Tower and I positively squealed when I finally laid my own eyes upon it for the first time. Going up it is an experience not to be missed. I even did it a second time when I visited again, even though it had been less than a year since I had last gone up. It's so enjoyable - I'll probably do it every time! Tip: take the stairs and walk up - it's cheaper than getting the lift (only 5 Euros) and it's not as hard as it looks. Think of all the impending bread, cheese and wine you are burning off! You can take the lift down for free so you only have to take the stairs one way if you wish to. Quite a recent feature on the first floor: if you're brave enough - stand on the transparent floor made of glass and see the hundreds of tiny people standing below you. I'm not afraid of heights, but it's still pretty nerve-racking! The views over Paris are breathtaking from every direction, more so the higher up you go. After sunset, the tower lights up and sparkles for a full minute every hour on the hour until 1 am (2 am in summer). 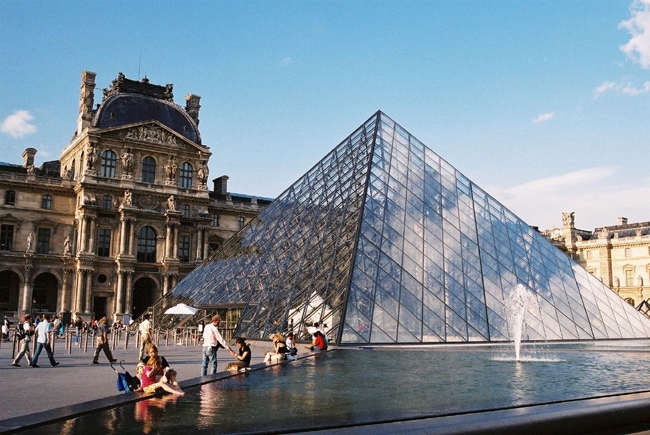 Being the biggest museum in the world and a historic monument in Paris - the Louvre is one not to be missed! Even if you have no interest in art or history, it is absolutely one of those astounding places that is honestly worth visiting. Tip: there is more than one entrance, take the second, lesser-known one to beat the queues! Here's a link to an in-depth description of where to find it: Secret Louvre Entrance. It has countless (okay I looked it up - over 35,000) objects, sculptures and paintings on display ranging from Ancient Egyptian, Greek, Roman to Medieval, Renaissance, World Wars, French Revolution etc. It is a completely overwhelming (because there's so much to see!) but totally captivating experience. Hire a headset and there's no need to take a tour - it will guide you through each room. You can go up to anything on display you wish to know more about, input the number of it and it will tell you all about it. As most people are - I was pretty disappointed by the Mona Lisa. It's so small and well, boring compared to all of the other grand and magnificent works of art surrounding it. Not to mention so crowded in that room. So please don't be one of those people that only go to the Louvre for a photo with the Mona Lisa and then leave - it's the most underwhelming painting in there! My favourite things to see were: Michelangelo's Dying Slave (1513), the Victory of Samothrace (190 BC), Psyche Revived by Cupid's Kiss (1787), Four Seasons (1600), the Great Spinx of Tanis (2600 BC), the Napoleon the Third Apartments (fully decorated rooms), the Borghese Gladiator (100 BC) and many others. Make sure to take a break to let your brain properly digest all of the overloading information! The cafes are a bit pricey so if you're watching your budget you can bring in your own lunch and drinks. The Louvre is open every day of the week except Tuesdays. 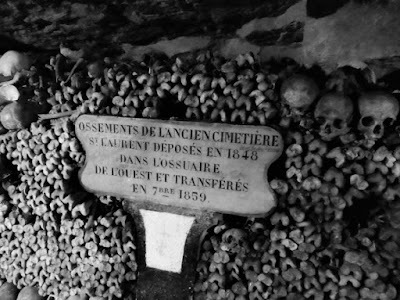 Not for everyone - especially the claustrophobic, but I particularly liked visiting the Catacombs because I like skulls! Yes, it's a bit creepy that they are real skulls and bones, but it's still a pretty cool experience. The basic story is in the 1700's they ran out of room in the cemeteries - they were overflowing, so the underground burial site began. The skulls and bones were removed from the skeletons and arranged carefully and some even in an artistic way, which created the walls that we see today. There is plenty of information as you walk along so it's an interesting history lesson as well. Complete in 1345, the world famous medieval cathedral is stunning on both the inside and out. It is considered to be the finest example of French Gothic architecture. I particularly love the gargoyle sculptures running along the outside of the upper building. Pay extra to climb to the top (there is usually a very long queue for this) or for free you can enjoy the inside and admire the many statues, such as Joan of Arc, see the magnificent stained glass windows and visit the large crypt if that tickles your fancy. Another stunning monument of Paris, the Arc de Triomphe is a must-see and surprisingly big! It's so large that in 1919 during the victory parade ending World War 1, Charles Godefroy famously flew his biplane through the arch which was captured on newsreel. It stands in the centre of the Place Charles de Gaulle, at the western end of Champs-Elysees. Because of the heavy traffic surrounding the roundabout, take the underground passage to access it from below. You can pay to get the lift to the top for magnificent views of Paris - especially the Eiffel Tower standing directly before it! There is even a small museum located at the top. The Basilica of the Sacred of Heart of Paris is another popular landmark to see. Located at the summit of Montmartre, it is the highest point in the city. The top of the dome is open to tourists and gives excellent panoramic views over Paris, the interior is stunning and there is a garden and fountain for meditation. While you're in Montmartre the area offers many great dining options as well as being home to the famous cabaret shows. Well-known for the famous Can-Can dance, a cabaret show might seem like a tourist trap, but it's an incredible spectacle and well worth the money in my opinion. There are many different shows to choose from - I just took the photo of the Moulin Rouge, but actually went to a cabaret show just down the road from it which was half the price - and it was still amazing! The shows are high-energy, entertaining and features wonderfully talented dancers. Even I was surprised at how much I enjoyed it. Most places you can choose to have dinner and wine packages and all you have to do is sit back, relax and be very entertained. There we have my top recommended things to do in Paris. Unfortunately, I haven't yet been to the Palace of Versailles, and I would say that is definitely another top thing to do, I just haven't had the chance to visit yet. I also wouldn't say no to Disneyland Paris! Definitely next time - as mentioned, there is so much to do, so I have no doubt that you will have a great time, whatever you choose to do yourself. Don't forget to check out my other Paris guide - P A R I S | Top Travel Tips!.